TOYOTA (June 22) – Japan captain Michael Leitch said the Brave Blossoms had to meet the physical strength of Georgia head-on and show better onfield leadership if they are to win Saturday’s test at Toyota Stadium. 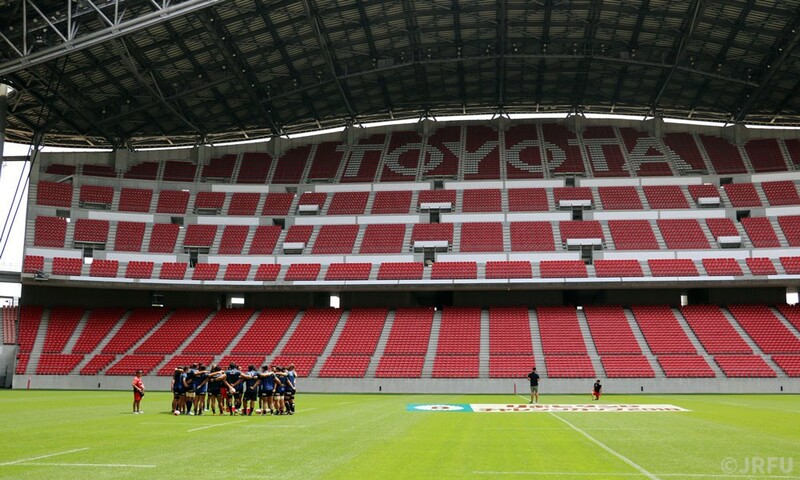 Speaking after leading Japan’s captain’s run at the Rugby World Cup 2019 venue, Leitch said the opening exchanges would be vital. Last week’s defeat to Italy that saw the Azzurri level the two-match series was, Leitch said, down to poor game management. Head coach Jamie Joseph said Georgia, like all the sides Japan plays, would target the set piece. “Playing Georgia, who traditionally have a very big pack, they will obviously target our set piece…and I just feel we will need extra resources in the forwards,” he said of his decision to have six forwards and two backs on the bench. Veteran lock Shinya Makabe also said the Georgians were a very physical side and he said much of the week had been spent working on maul defense. He also said the first 20 minutes would be vital as the Georgians were a team that played on momentum.